Lynn Chambers is popular, wealthy, and going (almost) steady with a handsome college boy. But when she decides not to be a debutante, Lynn finds herself on the outside, which leads her to a side of her town she barely knew existed. There she meets Anna, an artist overlooked by the debutante crowd, and bad boy Dirk Masters, who has a fast car, a quick temper, and a dark secret involving Lynn. 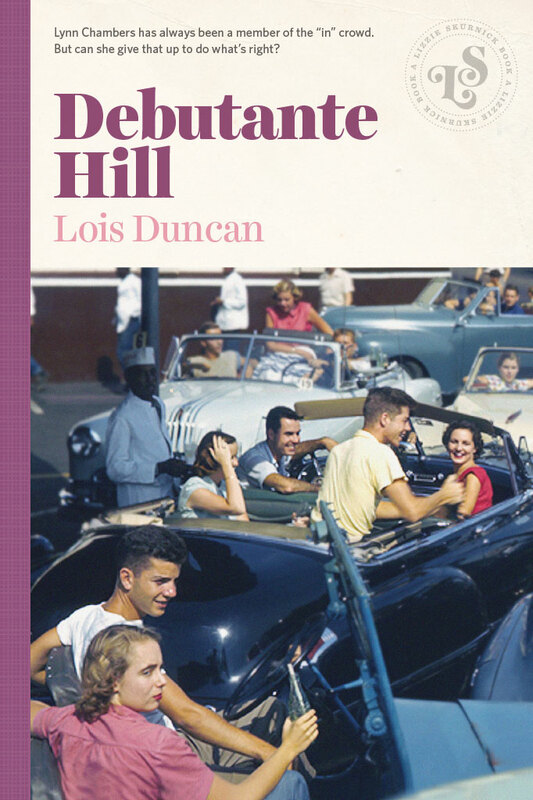 Lois Duncan was a young wife and mother of two when she decided to write a novel to pay the bills. The result was Debutante Hill. The novel was originally rejected for consideration in the Dodd, Mead and Company’s Seventeenth Summer Literary contest due to one character drinking a beer, but after Duncan swapped in a soft drink, she won the prize, which paid the down payment on her first house. Since then, Duncan has written over fifty novels, receiving worldwide acclaim for her young adult fiction. She pioneered the teen suspense novel, and is a regular nominee for the Edgar Allen Poe award. In 1992, Duncan was awarded the Margaret A. Edwards Award For a Distinguished Body of Work for Young Adults. Her novels I Know What You Did Last Summer and Hotel for Dogs have been adapted into popular films.